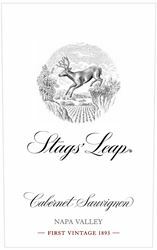 Seven miles north of Napa, in a valley within a valley, lies the century-old, 240-acre wine estate known as Stags' Leap. A 90-acre vineyard, divided into 23 separate blocks based on soil type and sun exposure, produces outstanding Cabernet Sauvignon, Merlot and the winery's signature Petite Sirah. Guests of Stags' Leap Winery enjoy a 90 minute intimate tour and tasting experience that pairs its handcrafted wines and legendary history within the striking setting of the Stags Leap Palisades. The experience has you relaxing and strolling through one of California's earliest wineries while enjoying our stylish wines. To join the wine club, visit www.stagsleap.com or call 800-395-2441. We are open to the public by appointment. As a member of the Manor House Porch Society, you will be given priority access, when possible, for visits to the historic estate, and receive invitations to our private club events. Quarterly shipments of 3 bottles with a special wine club discount of 15%. Average shipment price is $120, before tax and shipping. Stags' Leap Winery is certified under the Napa Green Winery Program by the Napa County Department of Environmental Management (DEM) and the Association of Bay Area Government’s (ABAG) Green Business Program and completed all the regulatory components needed for environmental sustainability. These components included developing water and energy conservation methods, preventing pollution, and reducing solid waste. In addition to developing sustainable winery practices, this program is set to become the standard for the state of California. Stags' Leap Winery is certified under the Napa Green Certified Land Program. Stags' Leap Winery has created and implemented a customized farm plan with measured results that addressed all aspects of its property, vineyard land as well as non-farmed land, including practicing soil conservation, water conservation, stable drainage, riparian corridor enhancement, fisheries and wildlife habitat enhancement and long-term improvement and sustainability.